Sunrise is a light based alarm clock that allows a user to set an alarm on their phone and wake up to a 30 minute sunrise. The accompanying application connects the user to the device, allow them to set alarms, and provides custom animation options to play throughout the day. 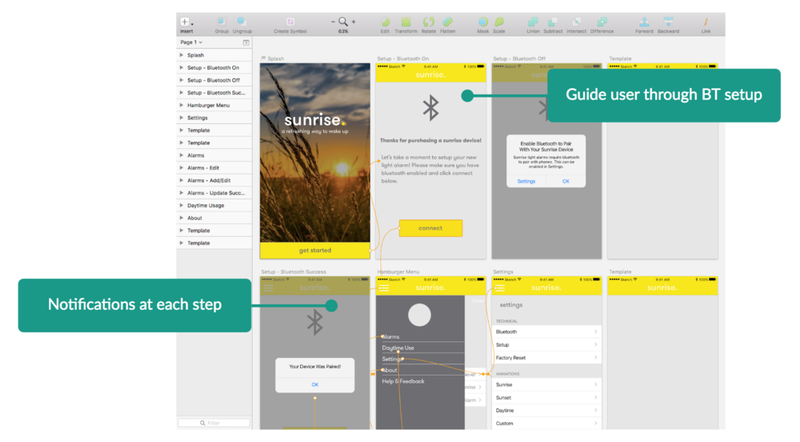 A full write up of the UX/UI design process for Sunrise can be found here. Design and fabricate a light-based alarm clock with sunrise and sunset simulations. 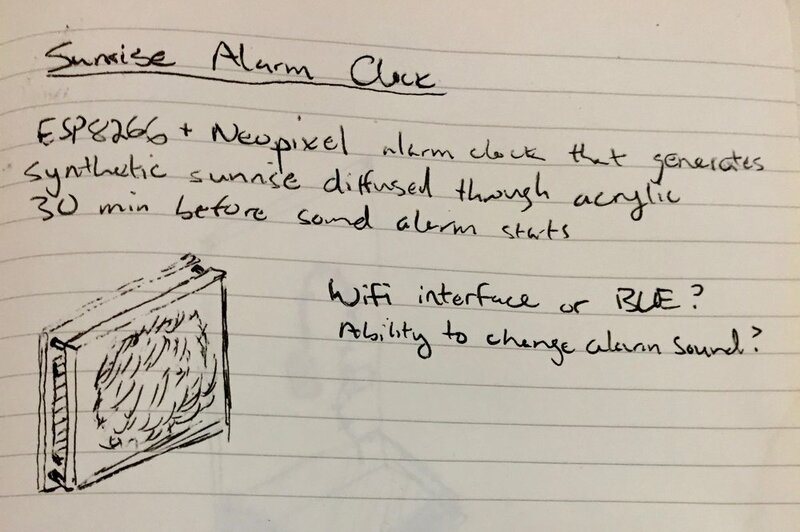 Design and develop an app that gives users the ability to set alarms and customize the alarm clock. The final product needs to be both beautiful and functional. The clock and accompanying dock were designed in Vectorworks and Illustrator, CAD Renders were done in Keyshot. Both are made of CNC milled baltic birch wood and laser cut P95 acrylic. 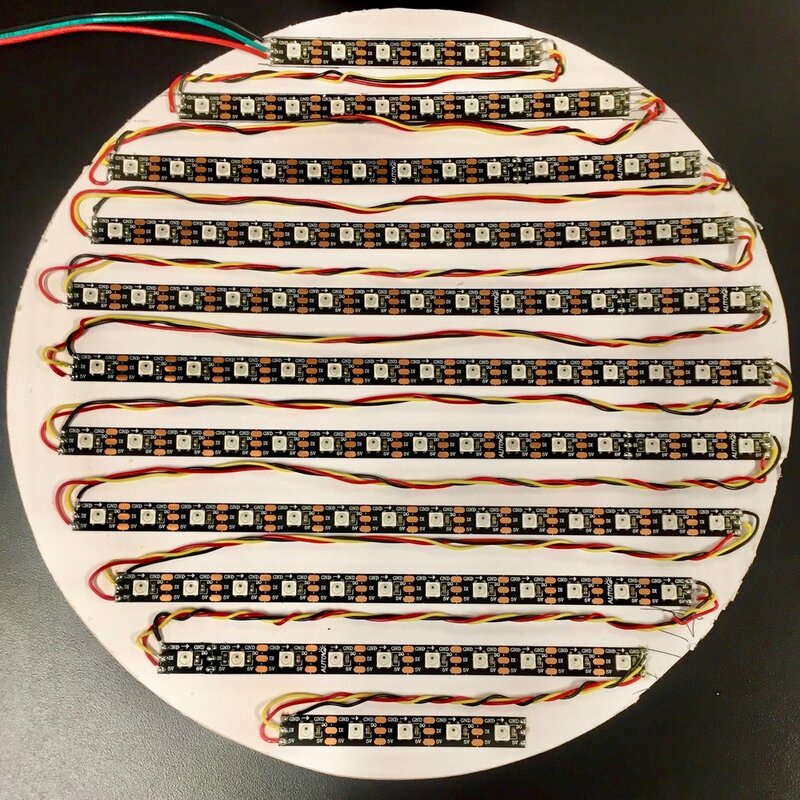 The internal electronics are an RFDuino, a real time clock chip, and RGB LED strips. The Sunrise application mockup was designed in Sketch and Illustrator. User testing occurred at each step of the design process, resulting in various changes to the interface based on user insights. A full write up of the research, design, and testing process can be found here.